Whether you need a mirror with lights integrated or already it and just need some mirror lights, First Lighting has stylish and quality products that look chic in your space. 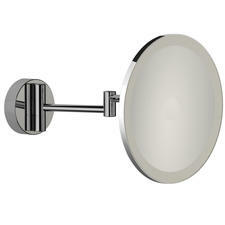 Not only practical when you’re shaving, plucking or applying makeup, these fixtures make a design statement in any space. Create a focal point in within certain rooms with our pick of superior LED mirror lights that will transform your interior. Give your home an instant facelift with our range of mirror lights that make it brighter and appear bigger and more attractive. Whether you’re after full size illuminated mirrors, compact magnifying mirrors that sit on the wall or just a light itself to overhang over your current mirror, we can help with our quality products at competitive prices. Not only do these LED mirror lights add personality and a design aspect to your room, but by providing extra light they can make everyday tasks, like washing, brushing, and flossing, a little easier. Make a stylish statement with the contemporary Illuminated Mirror with Fluorescent strips or squares, or give yourself some extra storage in the bathroom with the Multi Point LED Mirror Cabinet. This product comes with two internal shelves to house your toiletries discreetly; it also has a shaver socket and an IP44 rating making it suitable for use in the bathroom. The cool white LED lights are controlled by a pull cord, and the energy efficient LED fittings mean you won’t have to worry about replacing bulbs often. Give your room a unique lighting effect with the Hafele Loox LED Two-Faces light which emits the light from either side or try the Hafele Loox Cigno LED Overhead Mirror Light which on top of your standard mirror. 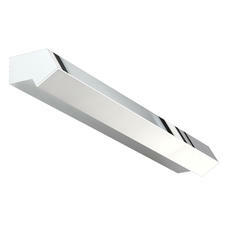 It is unobtrusive and looks sleek too. 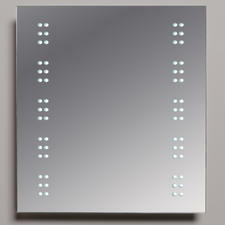 These mirror lights are designed to withstand the humidity you’ll find in these environments too. What's more, they’re easy to clean and maintain. The Frosted acrylic borders on some designs also ensure the light isn’t too harsh for when you’d like to create a calming oasis in the bathroom. 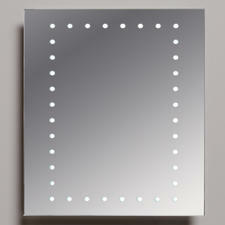 Have a better view of what you’re doing with our range of LED mirror lights that give your room a style statement.